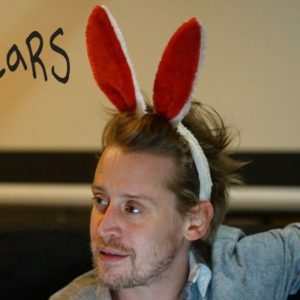 Macaulay Culkin’s middle name is currently “Carson.” But, starting in 2019, it will be “Macaulay Culkin,” as in Macaulay Macaulay Culkin Culkin. The Home Alone actor has been polling his fans on what his new middle name should be. The other choices were “Shark Week,” “Kieran” (his younger brother’s name), “TheMcRibisBack,” and “Publicity Stunt.” Ultimately his fans went with the meta choice of his own first and last name. On Christmas day he made the big announcement. Merry Christmas to me, from all of you! My new middle name has been chosen. You voted and the winner is clear.